I drove to Chicago this summer. Chicago is a beautiful city - nice and windy, of course. I enjoyed a pleasant drive on Shore Drive along Lake Michigan. 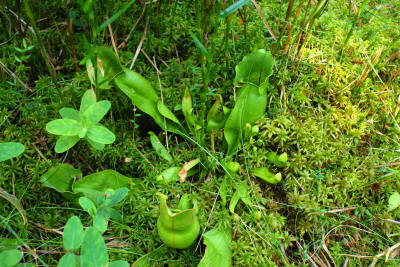 From there, I had a chance to visit a bog near Kalamazoo, Michigan, on the eastern side of Lake Michigan. 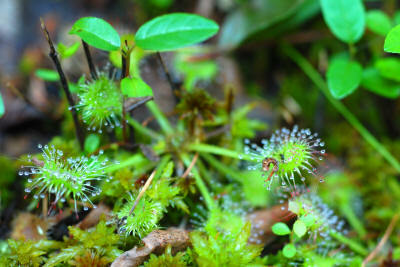 I was hoping to see Drosera linearis, but the place I visited was still way too south to see the species. 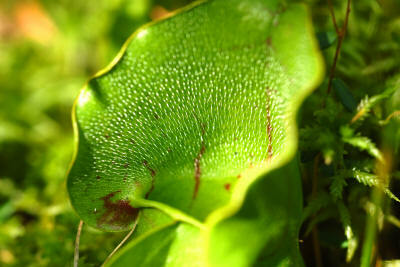 I was able to observe some other carnivorous plants, nonetheless. 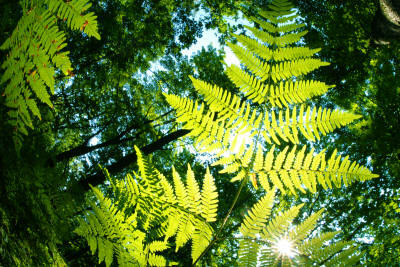 Fern foliage in the forest provided me a nice subject for my fish-eye lens. 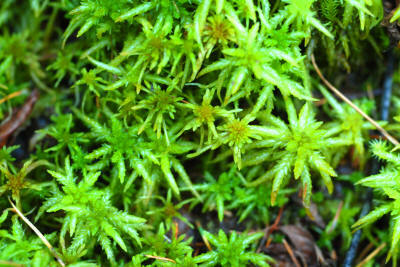 Sphagnum moss was growing everywhere. 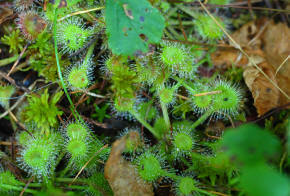 Drosera rotundifolia was common among sphagnum moss growth. Drosera rotundifolia seemed healthy but was not as large as some specimens I saw in northern California. 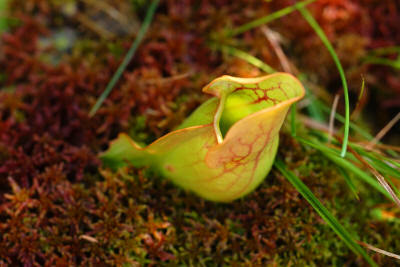 I saw some pitcher plants (Sarracenia purpurea ssp. purpurea) here and there often buried in sphagnum growth, but not in great number nor in high concentration. The pitcher color was mainly green. 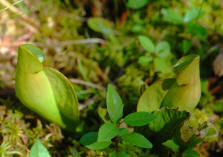 A young pitcher with more reddish coloration.